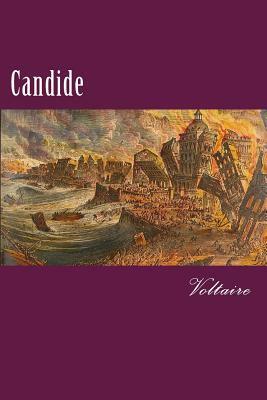 Candide is a French satire by Voltaire, a philosopher of the Age of Enlightenment. It begins with a young man, Candide, who is living a sheltered life in an Edenic paradise and being indoctrinated with Leibnizian optimism (or simply Optimism) by his mentor, Pangloss. The work describes the abrupt cessation of this lifestyle, followed by Candide's slow, painful disillusionment as he witnesses and experiences great hardships in the world. Voltaire concludes with Candide, if not rejecting optimism outright, advocating a deeply practical precept, "we must cultivate our garden," in lieu of the Leibnizian mantra of Pangloss, "all is for the best" in the "best of all possible worlds.